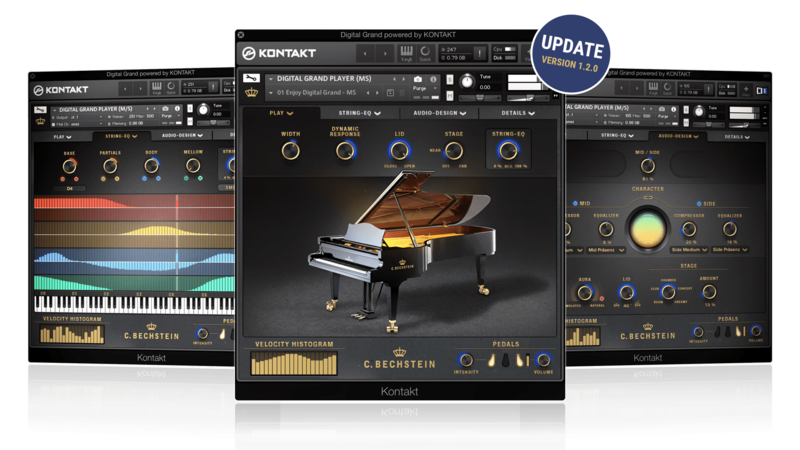 New version (1.2.0) now available – free update for all Digital Grand customers! More videos available in our Tutorials section. 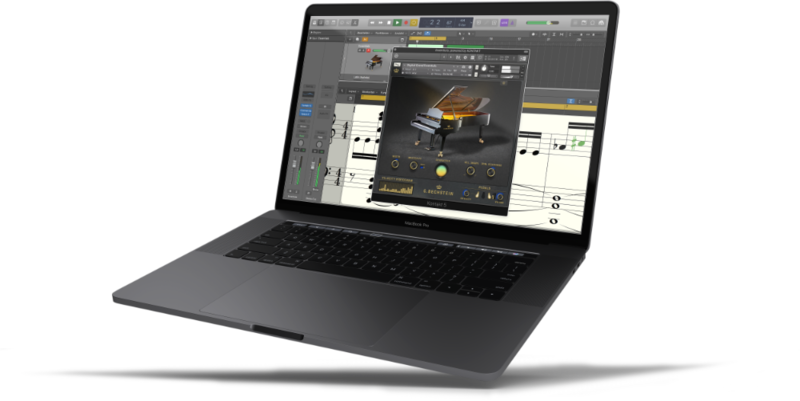 The C. Bechstein Digital Grand has been developed to meet the high expectations of composers & musicians as well as comprehensive requirements in a daily recording practice at a high level. This applies both to the sonic aspects, as well as to the usability, which remains intuitive at all times. Every control element has been constantly challenged by our product developers and extensively tested in DAW plugin environments, but also in virtuoso live performances with different genres. The acoustic role model for the Digital Grand is a carefully selected C. Bechstein D 282 concert grand. With its ability to highlight and emphasize even the most subtle melody lines through its unparalleled richness of tone colors, the D 282 belongs to the best modern concert grand pianos in the world. Playing a C. Bechstein, you can freely stress a certain voice, underscore a certain melody or accentuate a certain chord, and thus make your interpretation more lively and vivid. 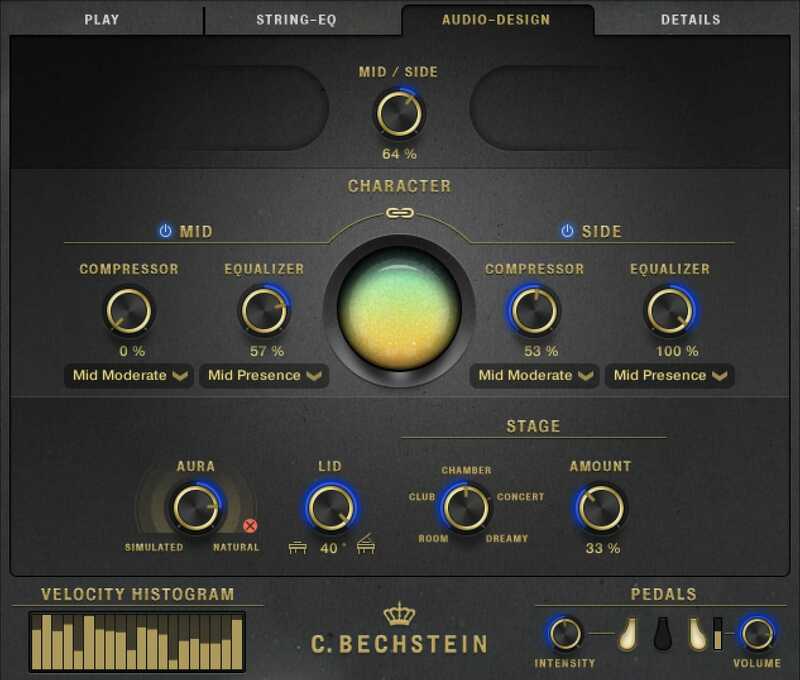 The C. Bechstein Digital Grand for Native Instrument’s KONTAKT and KONTAKT-Player follows the high standards we set for our acoustical instrument´s development and production: sound and manufacturing at the highest level, made for connoisseurs and people with passion. Emphasizes or reduces the fundamental of the note selected. Adds or reduces individually selected overtones per note. This shaper accentuates the sustain or give it a shorter shape. Only works in the transient range and ensures an increasingly smoother touch there. Whilst the potentiometers on the left-hand side work per note, the MIX controller ensures the effect of all settings on the sound. You can simply draw values in this area with the mouse pointer. Adjusts from a real(!) mono signal, to an “excessively wide” stereo picture. Individually controllable for Mid- & Side signals. Choose from five different flavors for each channel. Character shifts the tonal color of the Digital Grand – from warm to bright. An additional stereo signal capturing the direct and close “aura“ of the grand piano also can be phased-in fully from the software instrument. This secret weapon originmates from our Grammy-awarded sound engineer Tobias Lehmann (Teldex). 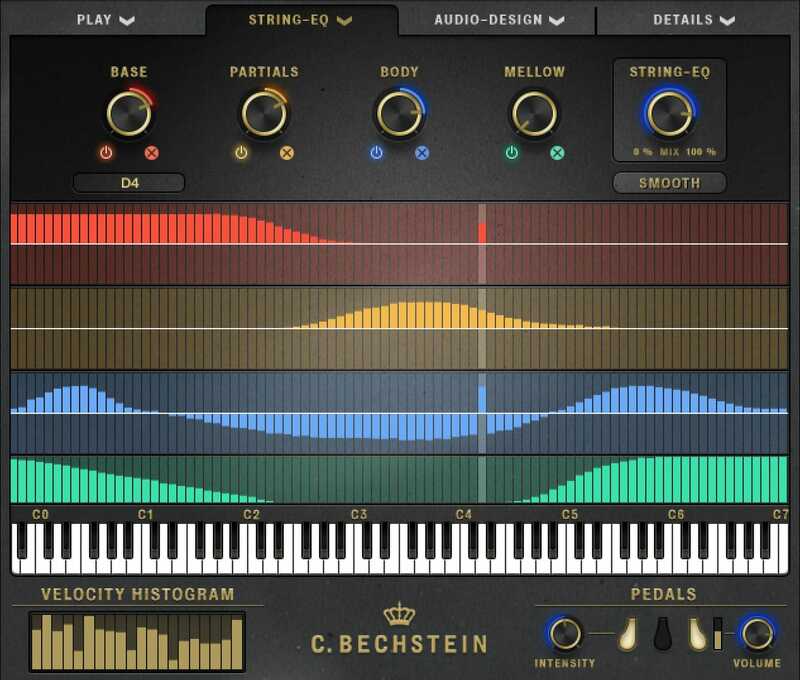 The C. Bechstein Digital Grand is available as software instrument for KONTAKT- and KONTAKT-Player (macOS and Windows). Thus it is ready for use on all modern DAW systems as well as stand-alone. 30-day money-back guarantee. Please pay attention to our System-Requirements. 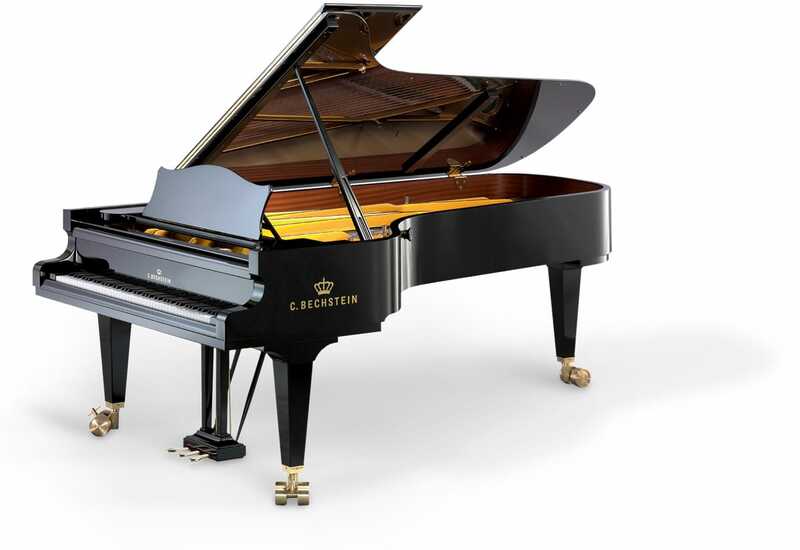 The C. Bechstein D 282 is a top class concert grand piano– and at the same time our masterpiece. In the forefront of the recordings, we had a selection not less than 5 of these unique concert grands. The sampling team agreed on this beautiful grand that you can now hear in its digital version.Find out what makes our acoustic pianos so special here. Ten thousands of parameters beneath the surface of the C. Bechstein Digital Grand lead to magnificent liveliness in real-time. Many commonly deployed processes and concepts were questioned and rethought and finally transferred into a highly effective and powerful script for the renowned KONTAKT-Player. 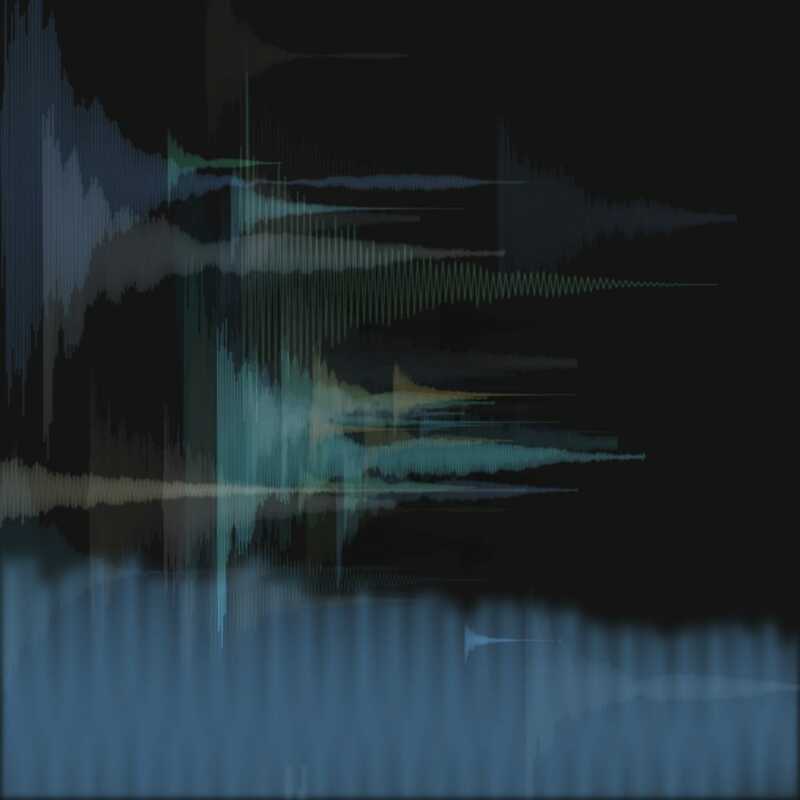 Learn more about what happens beneath the surface of the Digital Grand.